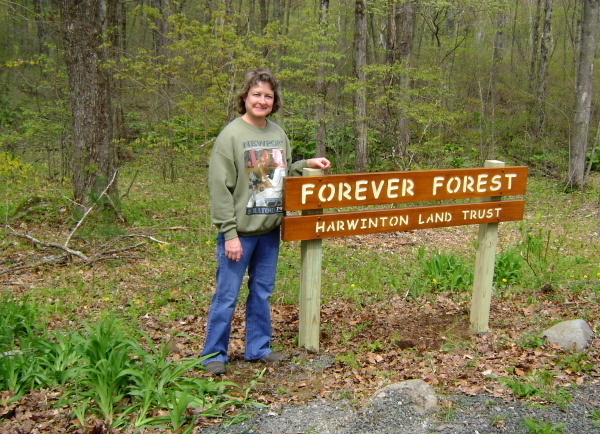 May 28, 2011: Four of our Land Trust properties are now adorned with new signs and one more, Bull Pond, will have a new sign soon, after some site clean-up is completed. 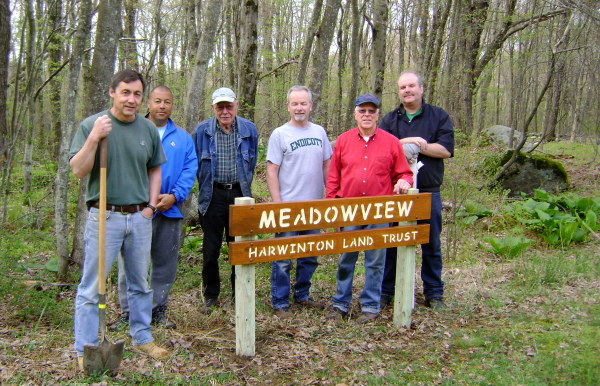 The new signs which were designed and handcrafted by Larry Conners were installed on May 7 and they look great! 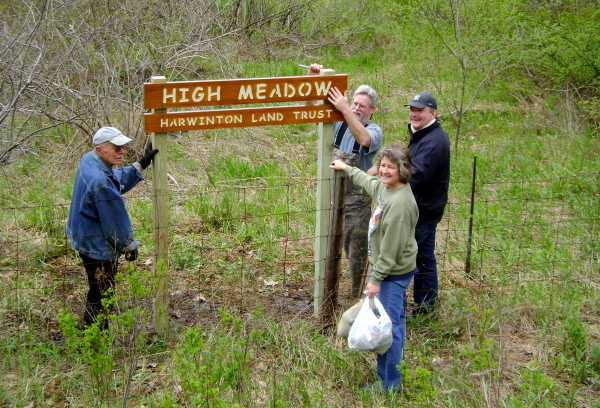 These signs will help identify our properties and show the best location for public access. 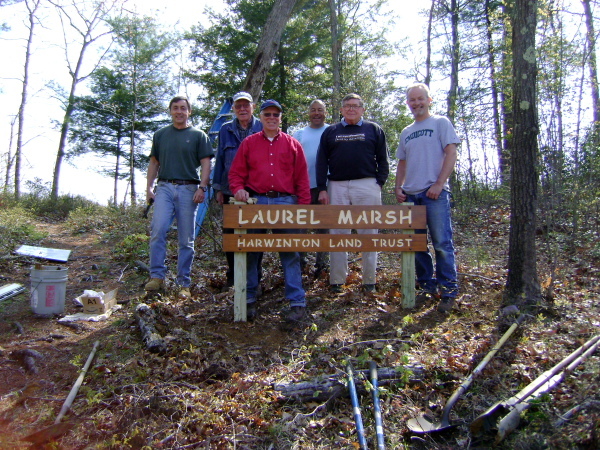 Land Trust volunteers remove the old sign and replace with new! Thank you to all our volunteers for their hard work!